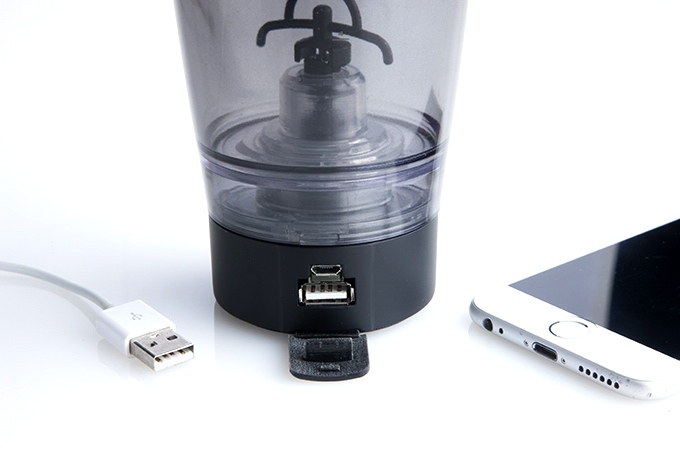 This mixer bottle has a built-in blender so you can enjoy your drinks however you like when you’re on the go. Whether you work out or not, you’ve probably seen at least one person using a mixer bottle within the past year. They’re the water bottles with the metal ball inside that people keep shaking to mix protein shakes and other drinks. Although effective, mixer bottles have a few shortcomings; namely they are inconvenient and messy. 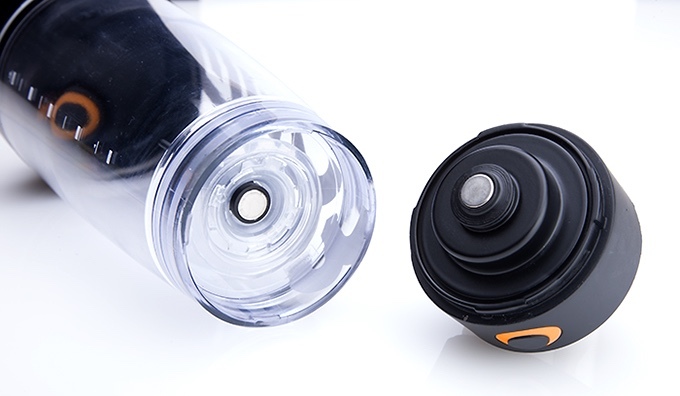 To overcome these limitations, PROMIXX has developed MiiXR, a water bottle with a built-in blender. It’s designed to mix shakes, eggs, cocktails, and other concoctions you might come up with. The core of MiiXR revolves around the X-Blade technology which is engineered with rounded edges to maintain the integrity of high-grade nutritionals. The main reason for this is because mechanical stress from traditional blades can denature some health supplements. In addition to a focus on quality mixes, MiiXR is engineered to be versatile and easy to clean. The patent pending non-slip magnetic coupling makes the motor component easy to remove. To accommodate the needs of on-the-go users, MiiXR is made of impact-resistant Tritan plastic. There’s also an extra wide mouth spout with a breather hole in the cap to improve air flow and chugability. MiiXR comes in two versions – the standard and plus editions. The main difference between the standard edition of MiiXR and MiiXR+ is that the former lacks USB device charging and rechargeable batteries. Weight also is another significant difference. Although they both share the same dimensions (228mm/9in x 83mm/3.3in) and capacity (20oz/600ml), the standard version weighs 300g/10.5oz while the plus edition weighs 500g/17.6oz. MiiXR standard runs off two AAA batteries while the plus version runs off of two 1,500 mAh lithium-ion batteries. With MiiXR+, the charging capabilities have the capacity to charge wireless headphones 60 times, or an iPhone 7 by a minimum of 50%. The built-in discharge cut-off ensures users have enough battery to still use the mixer even after charging devices. The makers of MiiXR have raised over $66,000 via their crowdfunding campaign with an estimated shipping date of June 2017. Early bird pricing for the standard device starts at $22 which is 27% off the suggested MSRP of $29.99. MiiXR+ starts at $45 which is 25% off the suggested MSRP of $59.99. As far as colors go, the standard edition is transparent and comes in black and white. The Plus edition only comes in black and is tinted. Although MiiXR is relatively new, PROMIXX has been developing vortex mixers since 2012. Their campaign page mentions that they have over 250,000 users. Their original offering, the PROMIXX original is available for $26.98 via the company website. Genius! For a portable product that serves TWO very great purposes. This takes away one more step for my morning routine and I love it. Something so simple, but easy to clean, operate and it will give me what I need in the morning. Great article! I like it and having something like this that I can turn on whenever I need a little MIX will make my smoothy intake even easier! I am not able to recall, or find online, the last time I saw a product like this, but I know there was one. The reason I was looking it up was to see what the prices were. I think $30 is not bad at all.